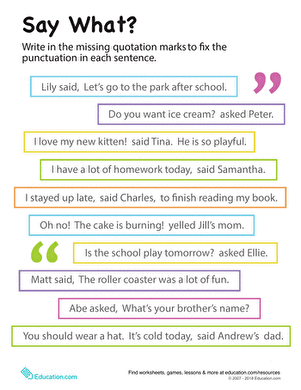 Assess your student's understanding of grammar with this punctuation and capitalization activity. Students will rewrite sentences that are missing capitalization, quotation marks, and punctuation. 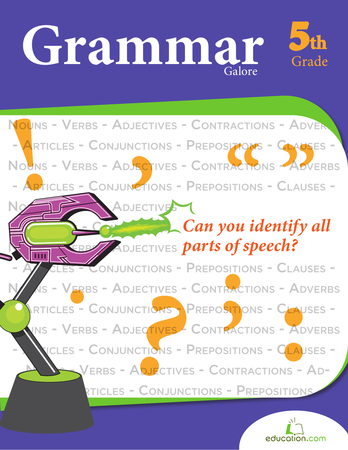 This practise worksheet will improve your child's writing and grammar skills.